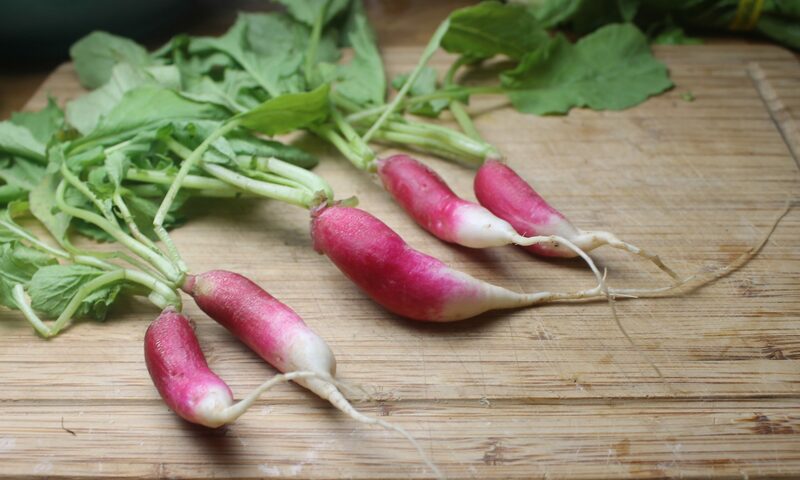 Second month of my Degustabox came and boy did it have some dandies this month! Today’s post is going to be very dessert-centric, which isn’t usually my forte, but I think I did quite well with what we made over the last couple of weeks. First,I made a great blackberry cobbler with the Whitelily with grape seed flour, I guess grape seed oil added to flour can benefit digestion and cholesterol and can be used anywhere you would use traditional AP flour. Place berries with the sugar in small sauce pan, and heat over medium high heat until sugar melts and berries begin to break down, add a pinch of salt and cook on low for 10 minutes. Set aside. Place 3 T. of butter in medium baking dish and place in the oven to melt. While your butter is melting, add 1 Cup Whitelily flour, 1 Cup of milk, 1/4 Cup granulated sugar,1 tsp. baking powder, 1/4 tsp. salt, and 1/2 tsp. cinnamon in a bowl and stir until smooth. 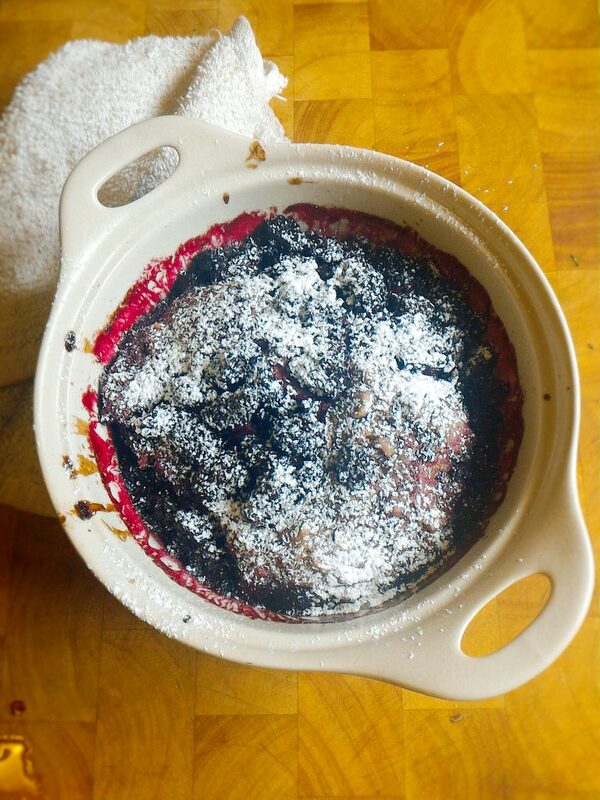 Remove baking dish and melted butter from oven, add batter mixture, top with blackberry topping, DO NOT STIR! Cook in oven for 30 minutes, batter will puff up and become golden, sprinkle the top with powdered sugar, and serve warm with ice cream! We also received Cow-tales which I got one of before the rest of the brood searched and destroyed (enjoyed), my kids actually wanted to try the chocolate variety at the store the other day, so we have already purchased some of these tasty treats (everything in moderation folks!). My kids were fighting over the Vermont meat sticks and I would definitely buy those again to keep in the car for quick snacks on the run, especially with school starting shortly! There wasn’t one product in our box that we haven’t or won’t use. I would like to focus on one of the products specifically the Goya Maria cookies they tasted to me like a sophisticated animal cracker, and they could be eaten alone or used to make all kinds of fun treats! 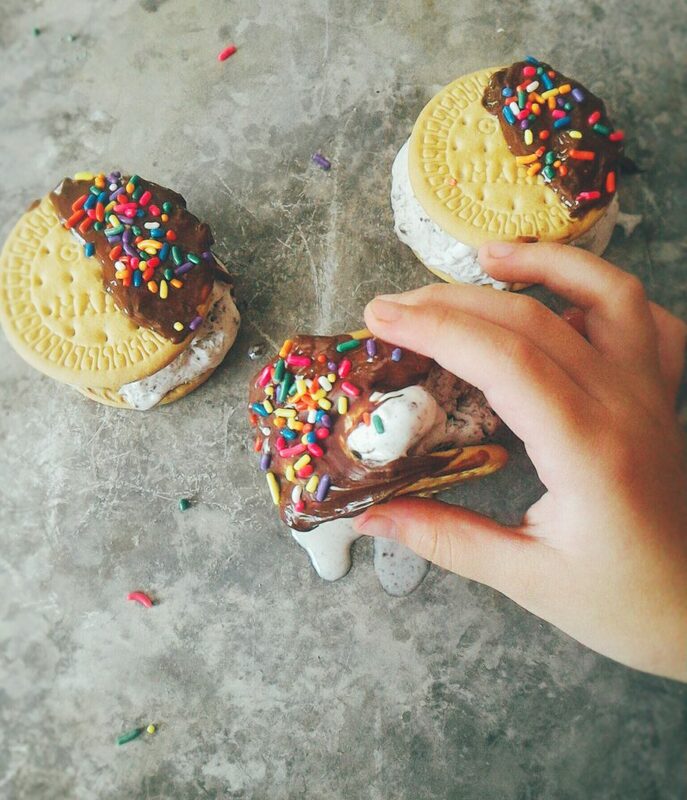 I decided since its way too hot outside, that using them to make ice cream sandwiches would be a fun way to utilize them, keep in mind they are awesome with just a cup of tea either way these world famous treats are definitely something that needs to go on your culinary bucket list. This recipe is dead simple, you can go crazy and make your own ice cream if you want, but we bought ours at the store. a few T. sprinkles, chopped nuts, or favorite toppings. The assembly is simple, place 1/4 cup of ice cream onto 6 cookies, top with the other 6 cookies and place in the freezer to harden for 20 minutes. 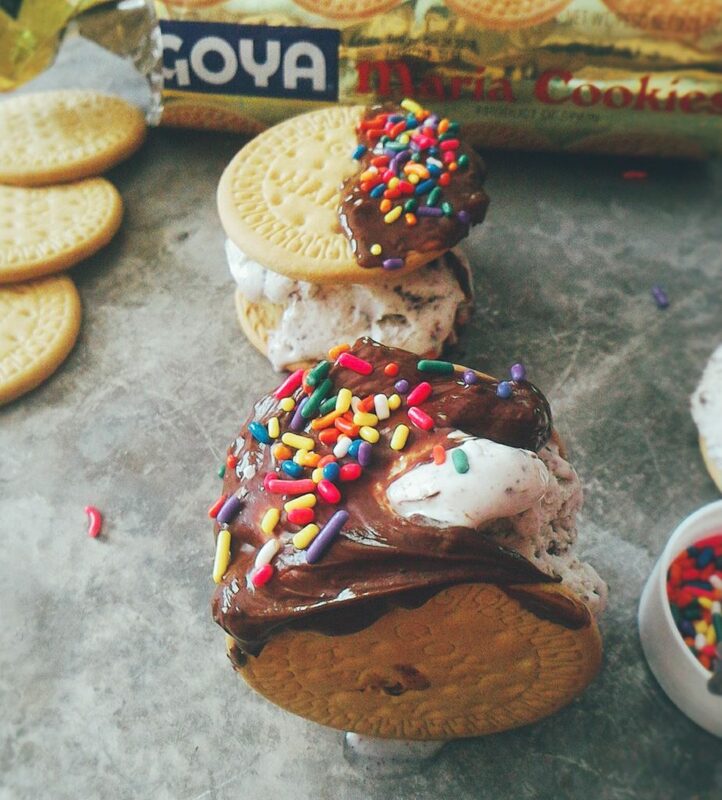 Remove ice cream sandwiches from the freezer, dip each one halfway into melted chocolate and sprinkle with toppings! Keep in freezer till you are ready to serve! Disfruta!